In this post, we’re sharing the best Photoshop watercolor brushes for creating your own unique watercolor designs. Watercolor design is a popular trend, not just used in digital backgrounds, but also in greeting card and wedding invitation designs. If you’ve been looking for a way to make designs look more vibrant with colors, using a watercolor-themed design is the best way to get that job done. Of course, you can’t create an authentic watercolor effect with just any Photoshop brush. You need brushes that have been handcrafted with watercolor strokes and swashes. We’ve found a collection of watercolor-themed Photoshop brushes created by professionals, most of which include brushes based on real paintbrush strokes. Feel free to download and experiment! 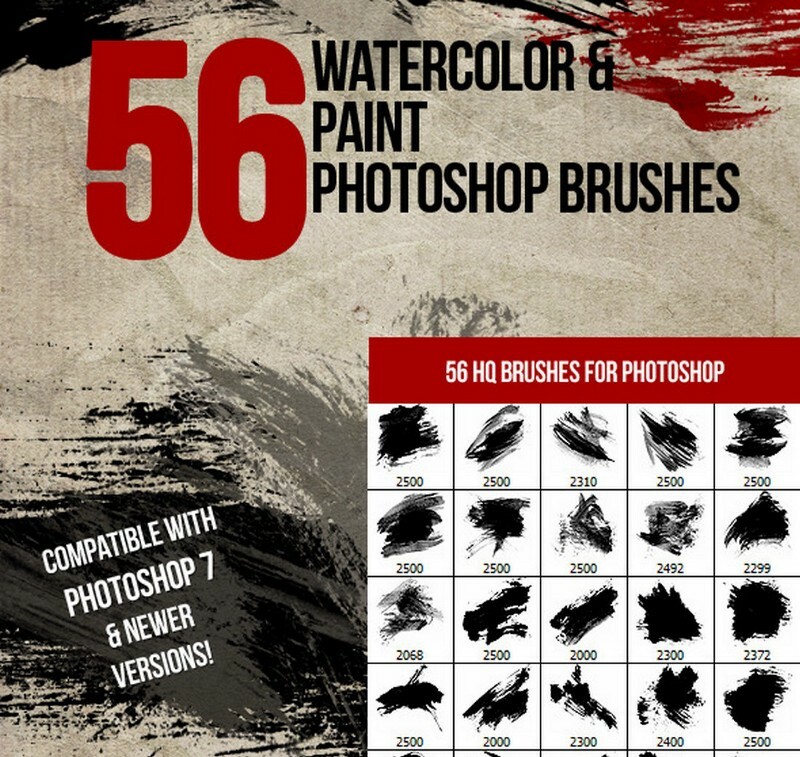 This bundle comes with 56 unique watercolor brushes as well as paint brushes for Photoshop. It’s compatible with Photoshop 7 and all of the latest versions of the app as well. 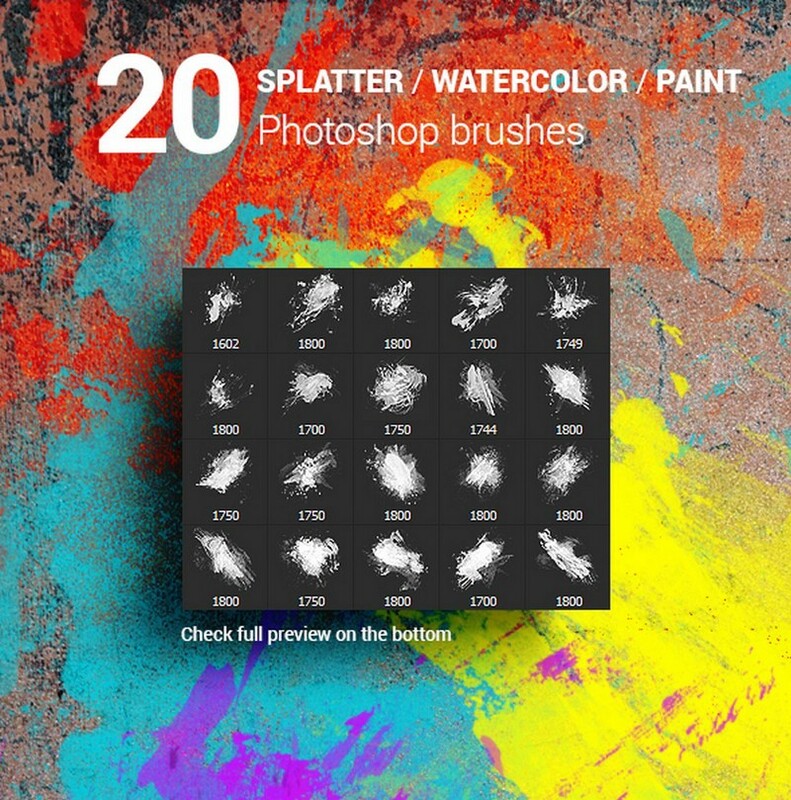 Another collection of unique Photoshop splatter paint brushes that can also be used to design creative watercolor artworks. 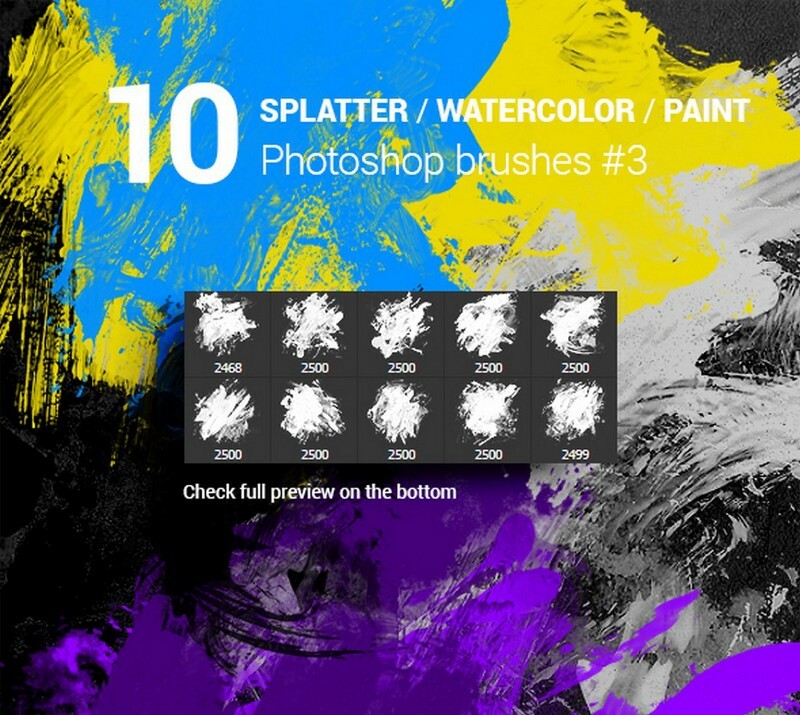 This pack includes a mix of 20 brushes. 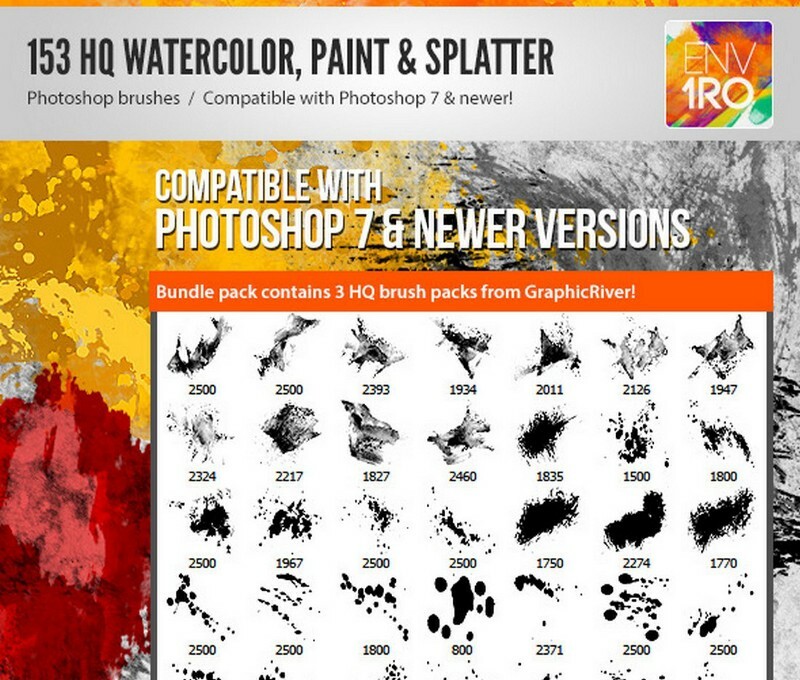 A collection of high-quality watercolor and splatter paint brushes. This bundle includes over 150 different brushes with various styles of strokes and splatter designs. 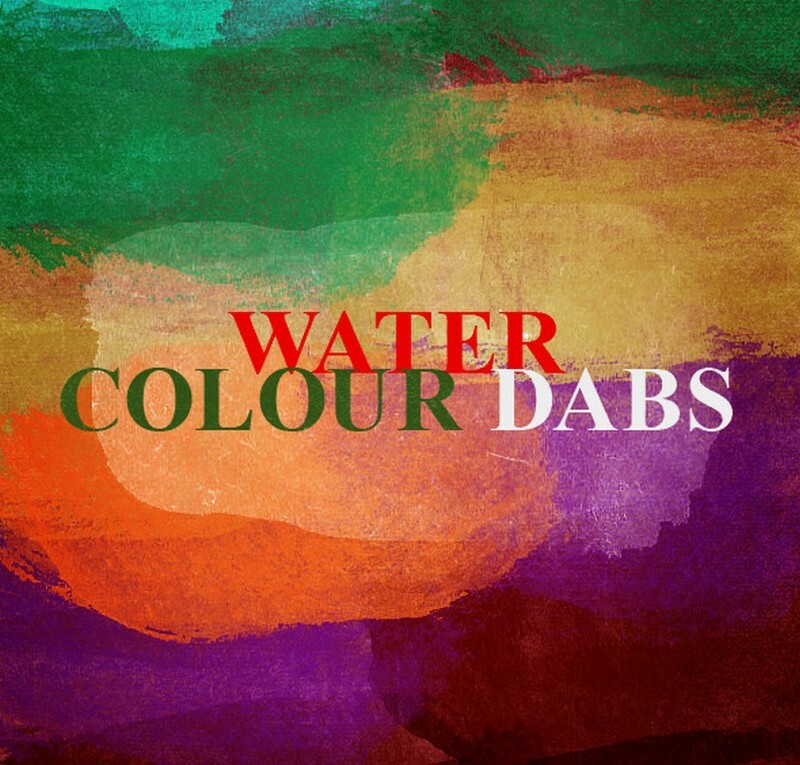 Another collection of watercolor dabs. These brushes have been handcrafted for creating more authentic watercolor-style designs. It comes with 30 different brushes. A set of unique Photoshop brushes with watercolor splatter designs. This pack includes 10 different watercolor strokes brushes in 2500px resolution. 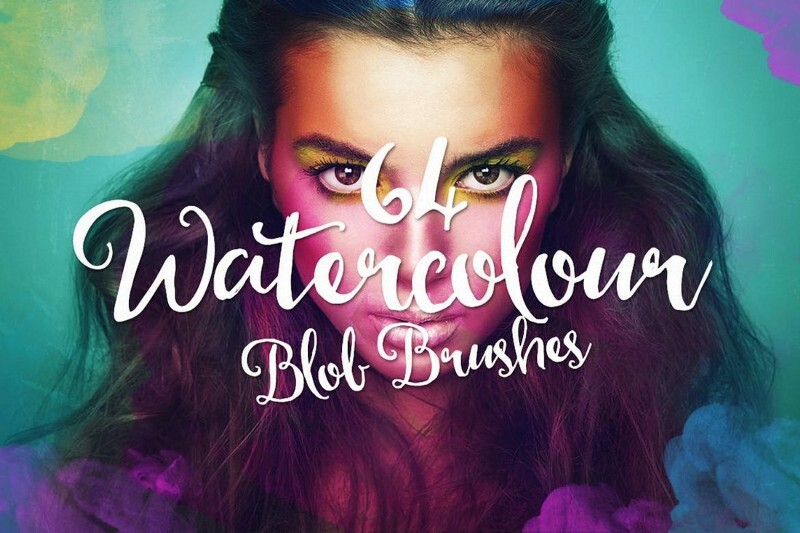 This bundle of Photoshop brushes includes 64 different watercolor blob designs in 850 to 1200px resolutions. They’re perfect for designing everything from unique artworks to background designs. The brushes can also be easily scaled to any size you want as well. 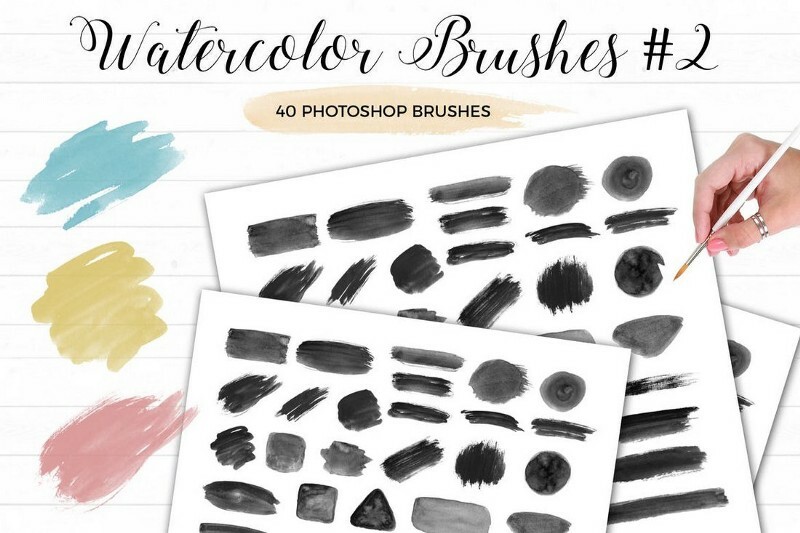 With more than 200 unique watercolor brushes to choose from, you’ll have plenty of choices to design unique creations using this big bundle of Photoshop brushes. The 600 dpi brushes in this pack will help you craft professional designs, especially for printing. They are available in both .ABR and PNG format. 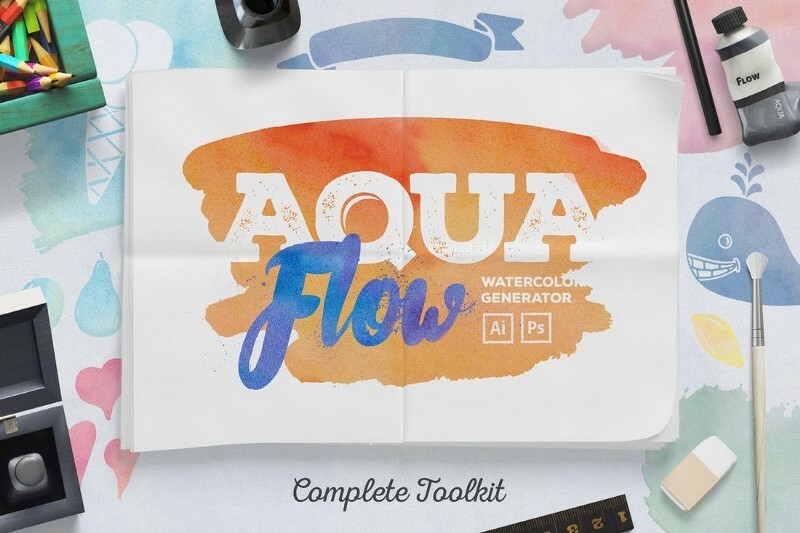 AquaFlow is a complete bundle of watercolor elements that includes lots of different brushes and vectors that you can use to create beautiful watercolor-themed designs. 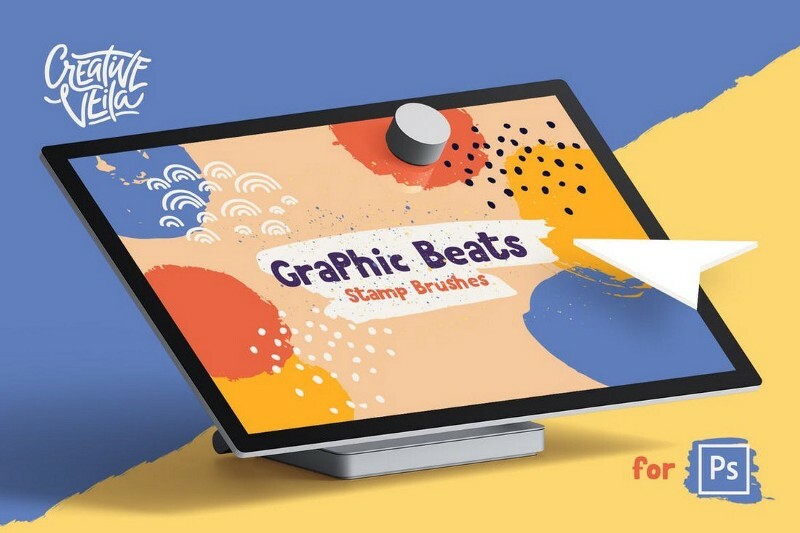 It comes with 54 vector brushes for both Photoshop and Illustrator as well as vector shapes, seamless texture patterns, and Photoshop layer styles. If you use watercolor designs to add more color to your poster designs and create backgrounds, this bundle will come in handy. 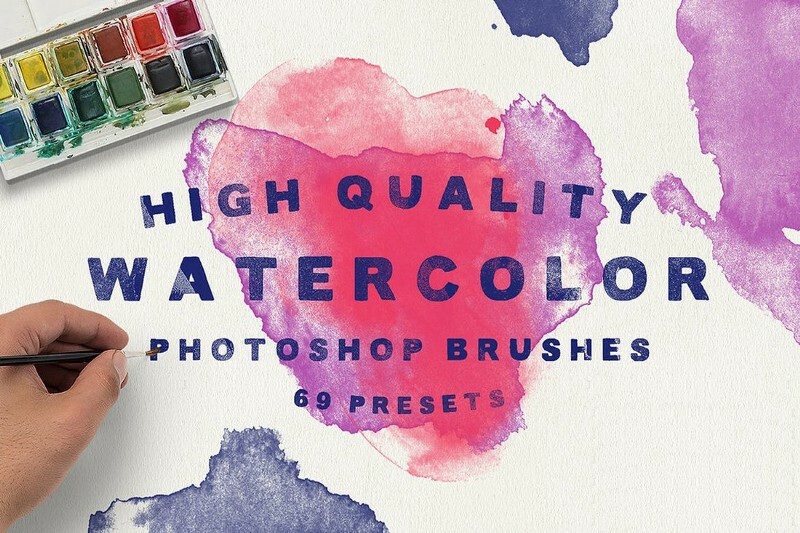 It includes 50 Photoshop brushes with different watercolor designs and in high-resolution. 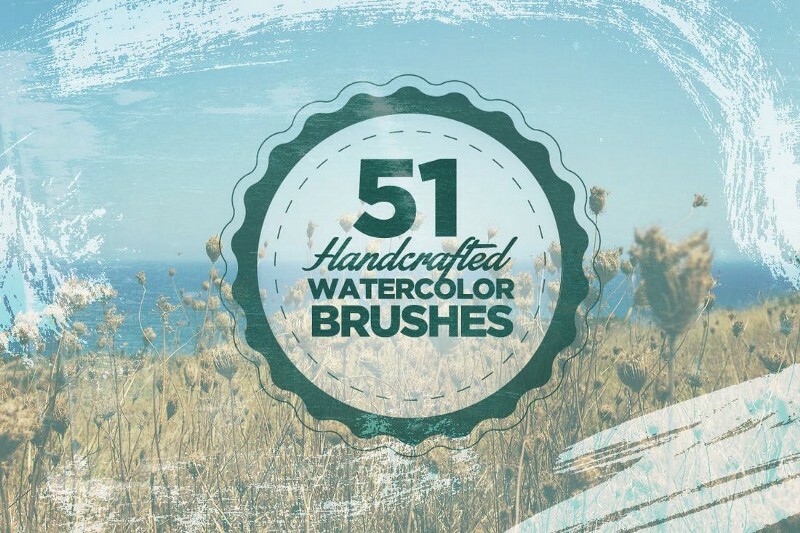 This is a collection of watercolor brushes that have been handcrafted by professionals. The pack includes 30 brushes in a .ABR file. The brushes can be easily resized to your preference and use with any color to design greeting cards, business cards, posters, and more. This brush pack is perfect for adding texture and a personal touch to your designs using watercolor brush strokes. It includes 69 different brushes in a .ABR file. As a bonus, it also comes with 11 textures in a layered PSD file as well. 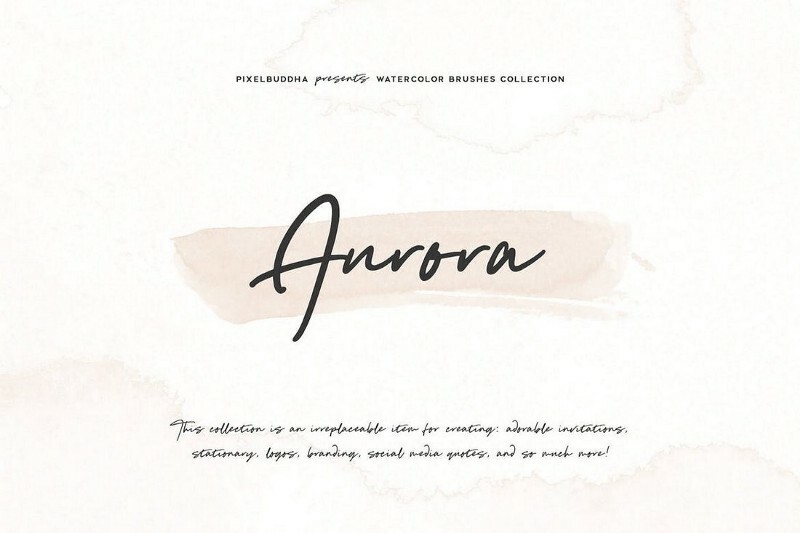 Aurora is a collection of unique watercolor Photoshop brushes that feature a set of light brushes you can use to add more texture to design, create patterns, craft backgrounds, and much more. 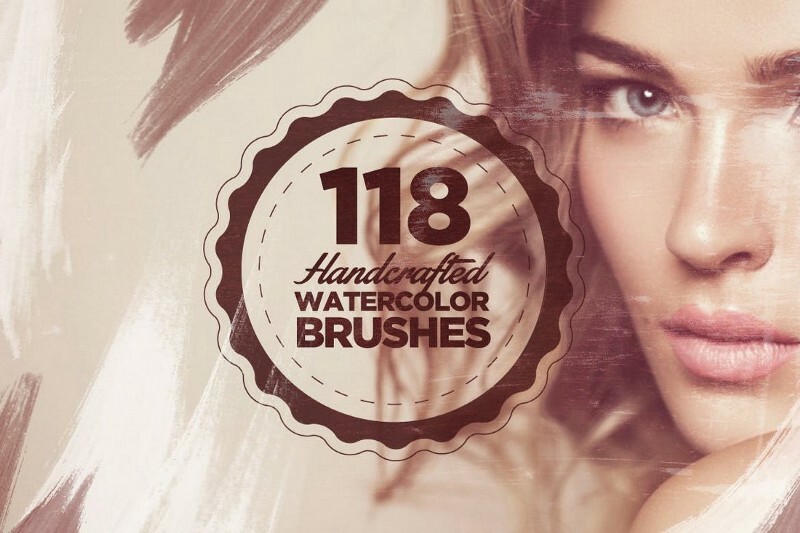 The pack includes 45 different brushes in sizes ranging from 2000 to 4000 px. 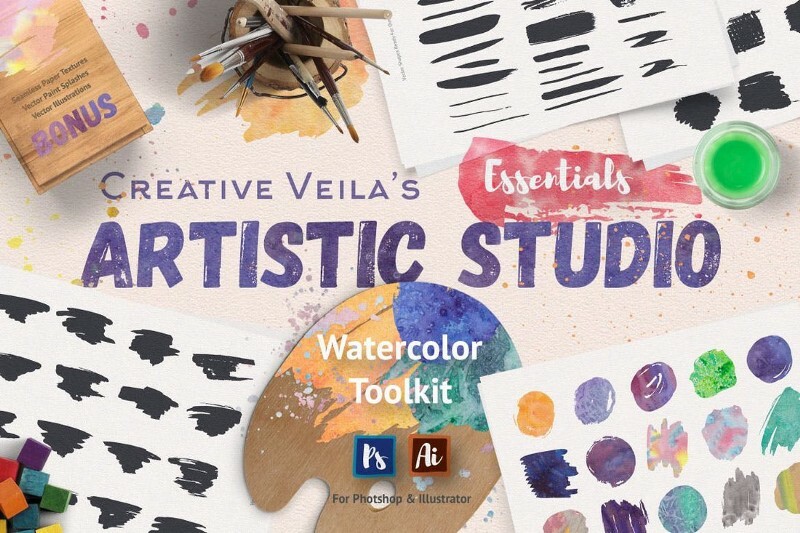 Artistic Studio comes with a massive collection of all sorts of watercolor vectors, brushes, and designs, including 35 Photoshop brushes featuring watercolor strokes, 38 seamless patterns with pastel designs, hand-drawn vector shapes, strokes, spray splashes, and much more. 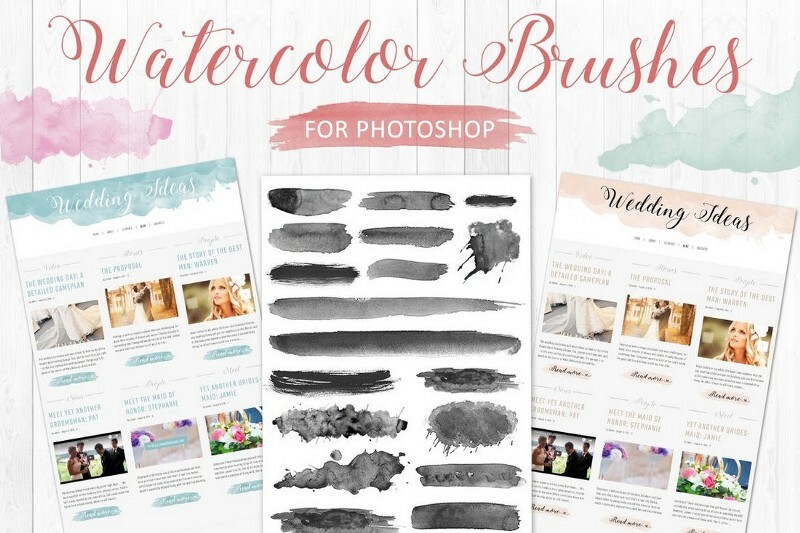 A collection of professionally crafted Photoshop watercolor brushes that are perfect for drawing illustrations, creating backgrounds, and adding texture to your greeting cards and invitation designs. The pack includes 15 different brushes. Add lots of beautiful floral elements and illustrations to your designs using this pack of Photoshop brushes. 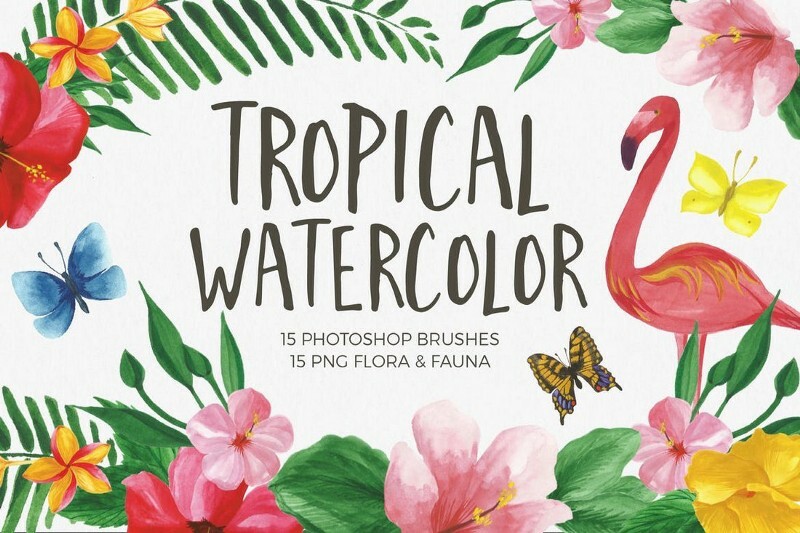 The bundle comes with 60 brushes featuring different kinds of floral elements along with 5 fauna brushes, 4 garlands brushes, and 6 wreath brushes. The second edition of the Watercolor Photoshop brushes collection comes with even more beautiful and unique brush designs. This pack features 40 brushes with creative and artistic watercolor brush stroke designs. Graphic Beats is a collection of Photoshop brushes featuring watercolor inspired brushes in 5 different categories. 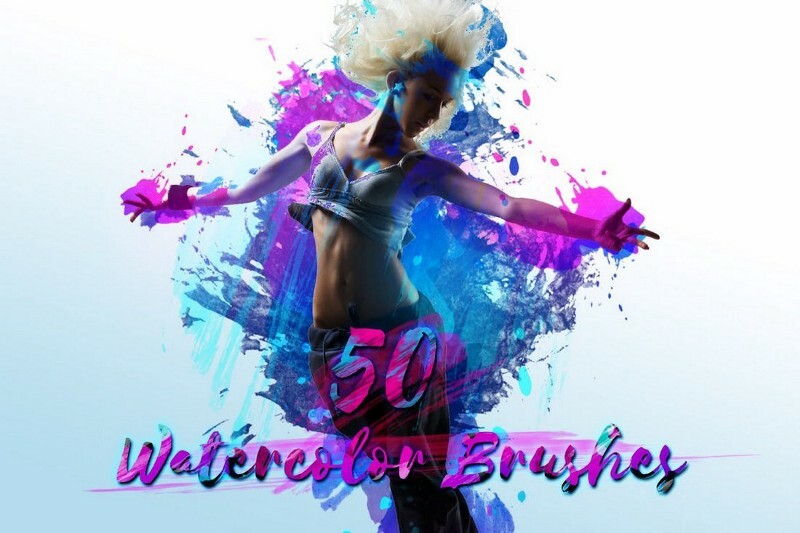 In this pack, you’ll get access to over 330 brush strokes with swooshes and splashes for crafting all kinds of artworks, backgrounds, and textures. Floral designs are widely used in the greeting card and invitation designs. Especially when it comes to wedding invitations, you can never go wrong with a beautiful floral stamp. 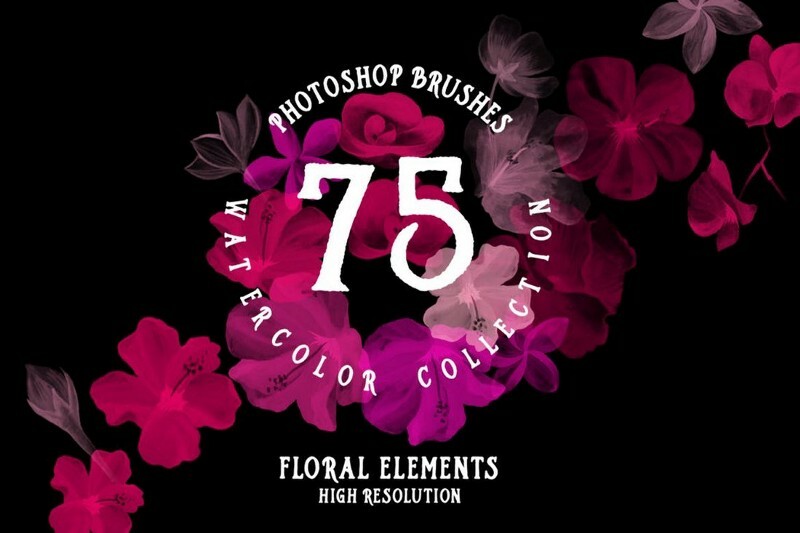 This bundle of Photoshop brushes includes 358 different floral stamp brushes separated into 6 different categories. You’ll have plenty of options to add more beauty to your designs. This bundle comes with 51 different Photoshop watercolor brushes featuring designs handcrafted from scratch by professional artists. The brushes are available in 1000×1000 px resolution and in 300 DPI to let you use the brushes with both digital and print design projects. 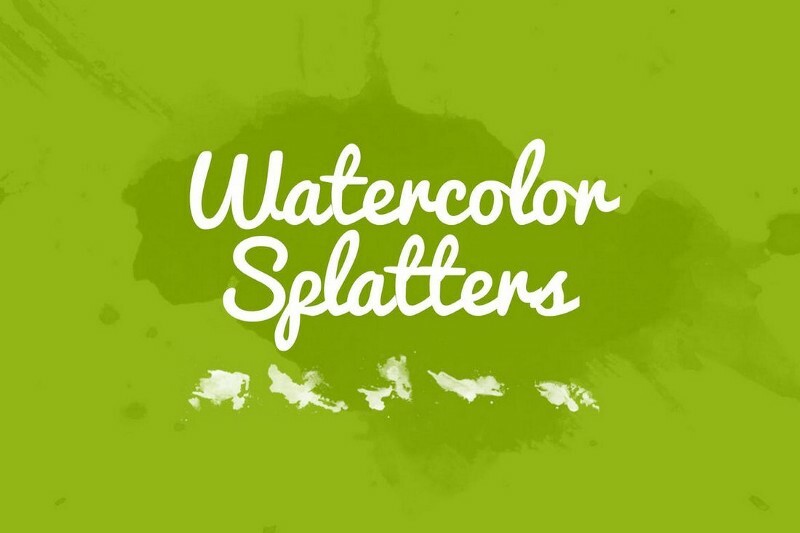 Watercolor splatter designs are perfect for creating unique typography designs as well as adding texture and vector shapes. This bundle comes with 32 different brushes featuring watercolor splatter strokes for creating all those designs and more. The brushes are available in 5000px resolution for newer Photoshop versions and 2500px for Photoshop CS5 and lower. 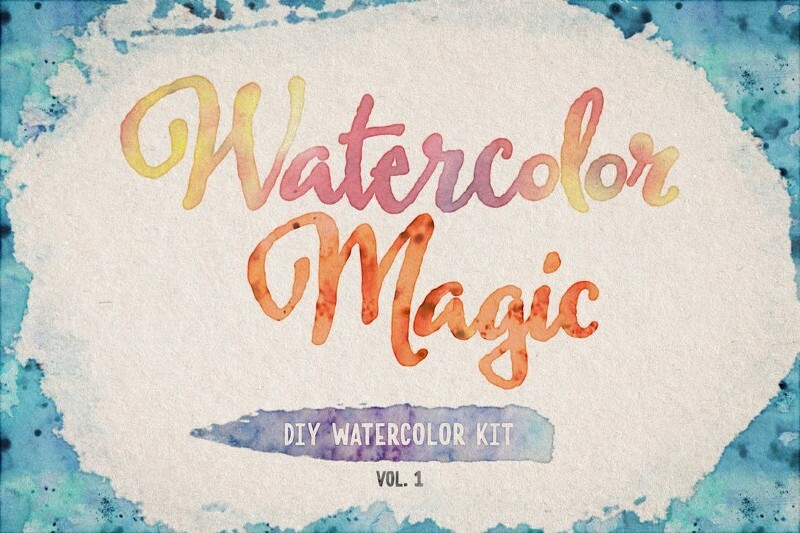 With this bundle of watercolor Photoshop brushes, you’ll be able to create true magic. It comes with 25 unique brushes featuring handcrafted designs. The pack also includes additional 15 realistic watercolor Photoshop styles as well as 15 seamless patterns and hand-drawn vectors. 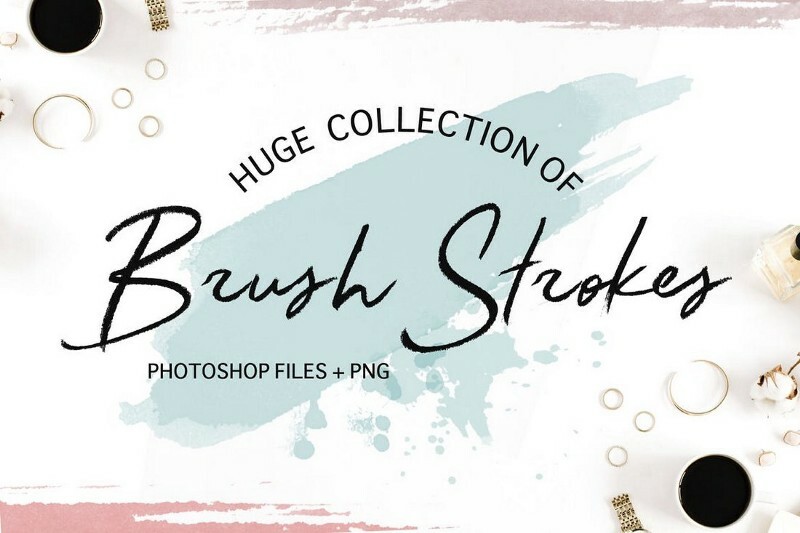 This is a big bundle of Photoshop brushes featuring various styles of watercolor strokes and designs. It includes 118 brushes in .ABR format and in 300 DPI that are also compatible with Photoshop CS1 and better.